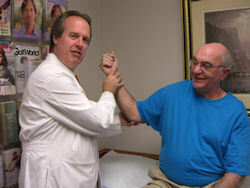 Dr. Piston is the founder and the head of Specialty Orthopaedics. He received his medical degree from the Temple University School of Medicine in Philadelphia, PA and has been recognized nationally and locally for his skills as an orthopedic physician and surgeon. Dr. Piston completed dual fellowships. His first fellowship was completed in total hip and knee replacement surgery at the prestigious Anderson Orthopaedic Research Institute under Dr. Charles Engh, an internationally known orthopedic surgeon. The Anderson Institute, located in Alexandria, Virginia is the world leader in medical research and product development relating to joint replacements. The second fellowship was completed in hand/upper extremity and microsurgery at Thomas Jefferson University Hospital in Philadelphia. 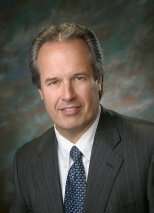 Dr. Piston is Board Certified by the “American Board of Orthopaedic Surgery” and has privileges at Sharon Regional Hospital, UPMC Horizon, Grove City Medical Center and Edgewood Surgical Hospital. 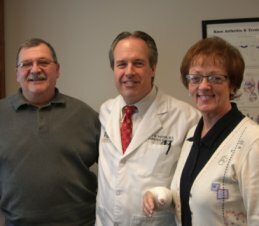 Dr. Piston and his wife Kathy (also a physician) have five children and have made their home in the Shenango Valley for over 20 years. In addition to his surgical skills, Dr. Piston has long been respected for his caring and considerate demeanor when dealing with patients and their families. He takes time to explain all medical procedures and attempts to do so in an understandable manner. Dr. Piston welcomes and answers all questions. He knows the importance of gaining the patient’s confidence and attempts to eliminate concerns or fears. Another important consideration is Dr. Piston performs a substantial number of surgeries each year. This fact along with his years of experience and advanced training make his expertise and knowledge of orthopedics unmatched in the area. All patients can be confident they are in the hands of the very best!